Classical Academic Press takes classical subject like Latin, Spanish, Logic, Bible, Poetry and more; creatively teaching the subjects to engage the teacher and student. 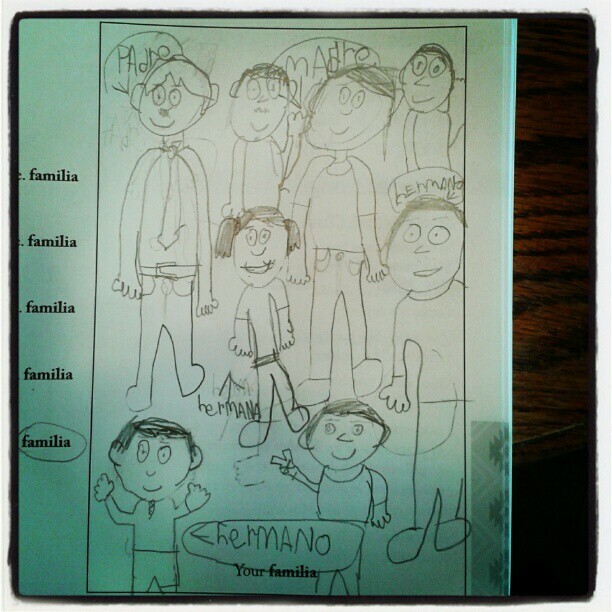 My daughter took a class at our homeschool co-op this fall in Spanish and truly enjoyed all that she was learning. When the opportunity came up to continue in her Spanish learning via Classical Academic Press we jumped on the chance! I have no training at all in Spanish, my language of choice in High School being French. 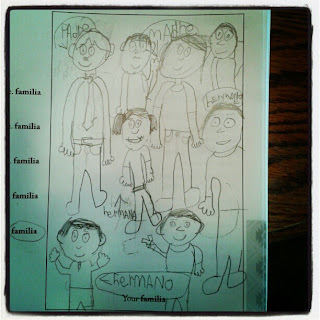 Fortunately she has a couple older brothers taking Spanish for High School so they were our back up teachers. Song School Spanish is geared toward K-3. My daughter being 2nd was just about the perfect age to utilize this program because she can read many of the new words and has no trouble writing on her worksheets. 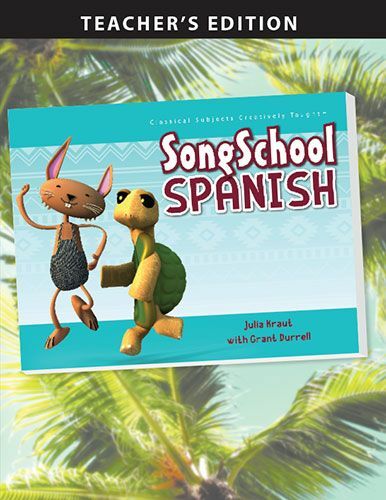 Song School Spanish Book & CD is a workbook for the program and the CD contains songs to help the student learn and memorize the words. Hearing the CD and songs certainly helped me to hear how to correctly say the words. My daughter and I both do much better being able to hear the word, rather than looking at a phonetic spelling of it and trying to understand. Some of the songs were slower, and not as appealing to her, but they were all catchy for memorizing the basic words. Each song would only have about 2-5 words in it that were being introduced. The program included 30 weekly lessons, with review chapters. $24.95 for the text book and cd included in a case in the back cover. The lessons include a couple basic vocabulary words, introduced written in the text, and suggested songs to listen to. After those the text goes into the chapter lesson where the student learns something about the grammar, punctuation, or even the language of spanish. Handwriting practice is next with guided lines on writing the new words and phrases. There are additional sections to reinforce the words learned by matching them, drawing pictures of the words, and even doing mini plays. 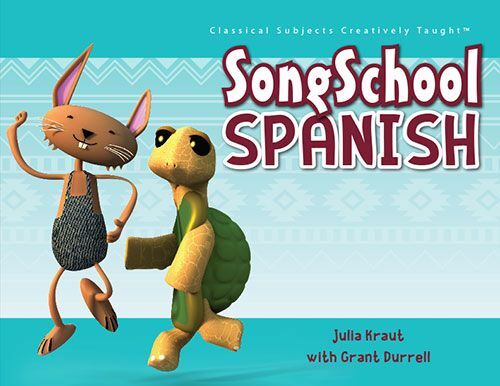 The Song School Spanish Teacher Edition is sold separately for $24.95. The teacher guide gives more information on the 25 lessons for the teacher and includes the complete student text with answers. The teacher edition has additional games and activities that you can make copies of for a little more practice. It is recommended one lesson per week of Spanish. We did at least two per week because my daughter enjoyed it so much. www.HeadventureLand.com has additional activities for Song School Spanish online. We continue to utilize Song School Spanish daily as we review the words that we are learning, pointing to nouns that we know. It is slow going, but for a young elementary student I feel it can boost their love of learning for language studies beyond knowing how to count in Spanish.